Each Halloween we hold a special night for kids up to 7 and their families called Bright & Light. Rather than looking at the dark side of Halloween we take this opportunity to learn about Jesus, the light of the world. Kids, and sometimes parents, come along in non-scary fancy dress costumes for a night of fun for all. We have crafts, singing, games, treats and a costume parade. The parents aren’t left out and they can choose to accompany the kids or else spend time chatting to each other. This is open to everyone up to P7. For more details contact Sonia Mawhinney via the Church Office on 028 9145 9688. Each Christmas we hold a special celebration event for kids up to 7 and their families. Like Bright & Light, this a great time of fun and blessing as we seek to remember the true meaning of Christmas. Again it is a night full of fun and treats for all age groups attending where we share the nativity story in an interactive way. Each December our teenagers have an opportunity to don the glad rags and to raise money for a Christian Missionary cause at our annual Moonlight Mission. This is a semi-formal dinner that is held each year in West and is always oversubscribed. There is a dinner, music and a night of fun and a chance to learn about the cause that is being supported by the event. Each year there is a theme which makes it more interesting. This is held in a safe environment where teenagers can have fun without experiencing any of the issues that can happen at other venues. Throughout the year we have a number of off-site weekend events which allow the teenagers to go away in a safe group which are supervised by the leaders. It is also a chance for teaching and learning and as well as having serious fun. 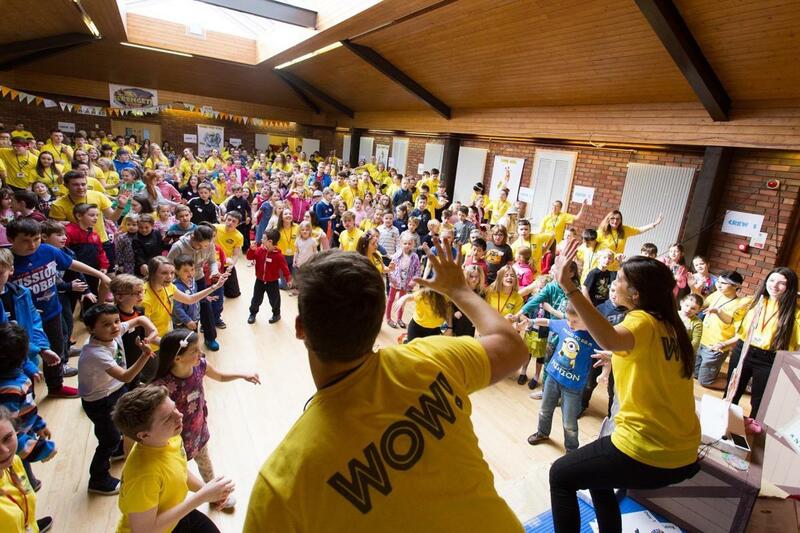 These happen at different times during the year, ranging from events specifically for West members to joining in with larger groups such as MAD, Summer Madness or WyldLife International. For more details contact Sonia Mawhinney and Andrew McClelland via the Church Office on 028 9145 9688 or any of the Intern staff. This is one of the highlights in our yearly calendar. In the week prior to Easter, Holy Week, the church is taken over entirely by over 250 primary school children being led through an exciting programme of singing, teaching about Jesus. The leaders are made up by all age groups, from 100 of our teenagers to some of our more mature members. Each year the parents of the teenagers are also invited along for an evening of desserts, entertainment and for an opportunity to see how their children have been serving. The week is very structured and will normally follow a programme devised by Vacation Bible School (VBS). The excitement is best summed up by one child who asked her mother on the last day of the programme, how may sleeps until next year͛s Easter Mission? Holy Week each year at West Church. For more details contact Sonia Mawhinney via the Church Office (028 9145 9688). To be kept up to date with everything that goes on at West Church please provide your email address to sign up to our newsletter.